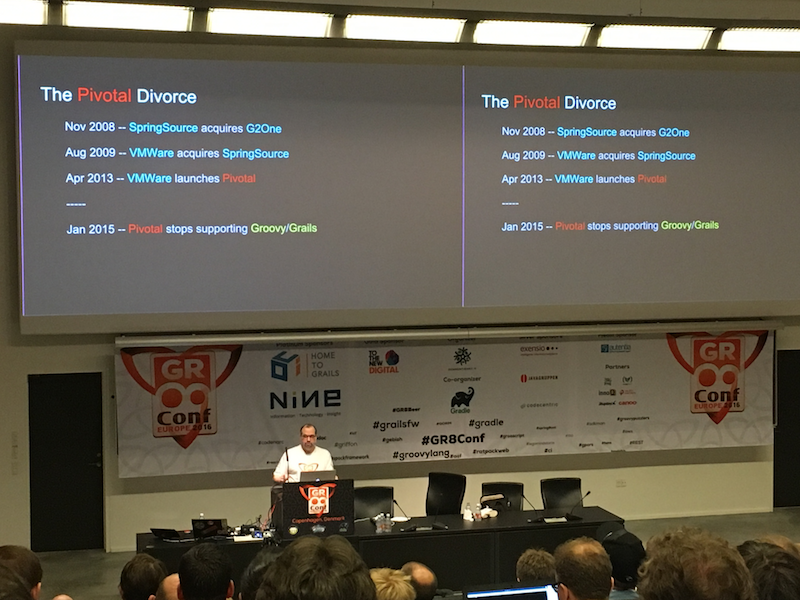 The day one of conference at GR8Conf EU had amazing line-ups of back to back talks. 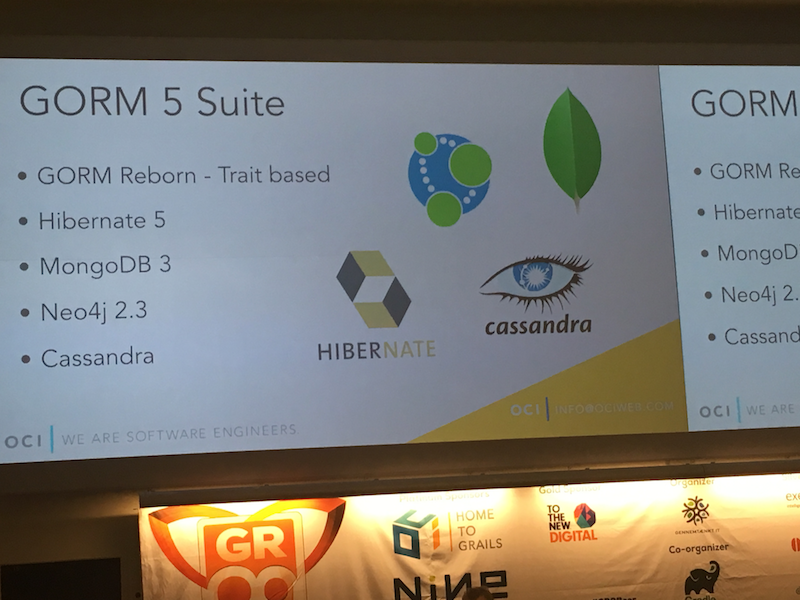 There were three simultaneous tracks for Grails, Groovy, and Gradle. Everyone was very excited and engaged in serious selection of which sessions to attend. 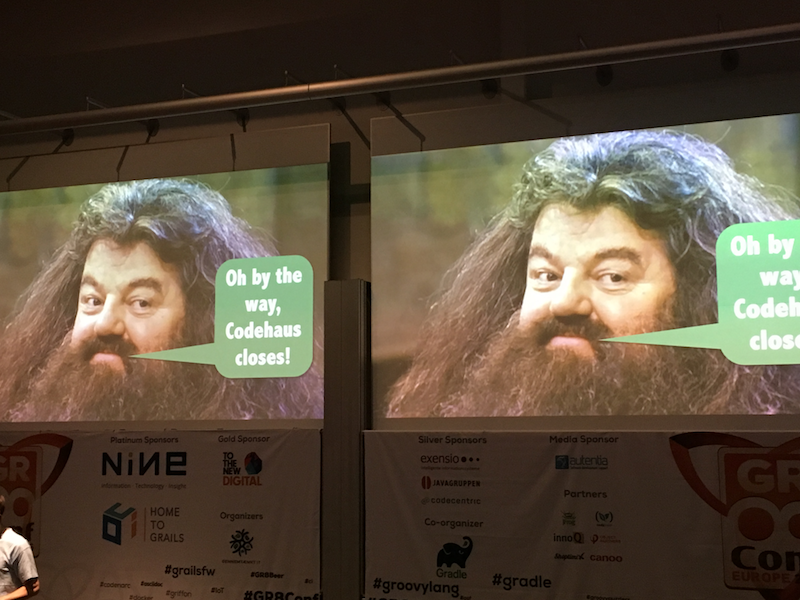 The first talk of the day was on “Feeling Groovy: Experiences as a Groovy Developer in the Java World“ by Kenneth Kousen, a wonderful speaker whose talks are fun-filled and very informative. 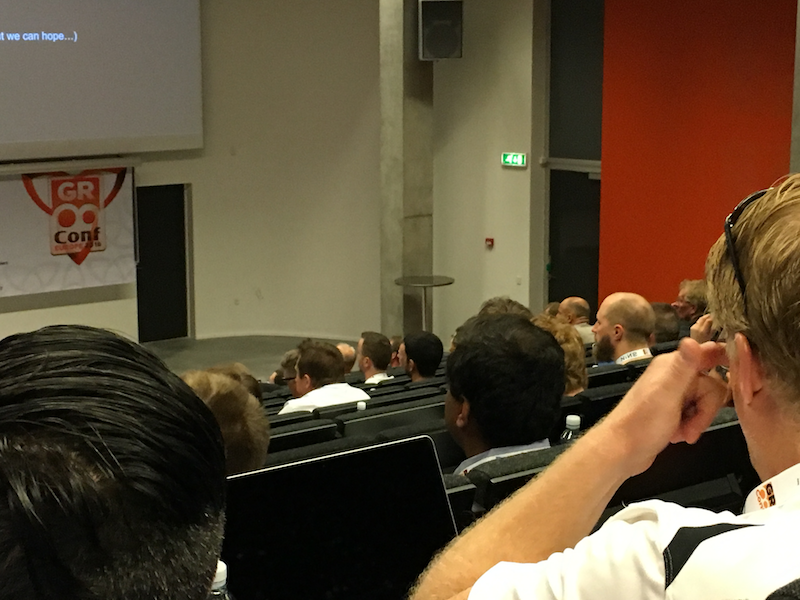 In the keynote, he shared his experiences as a Groovy Developer in the Java World. 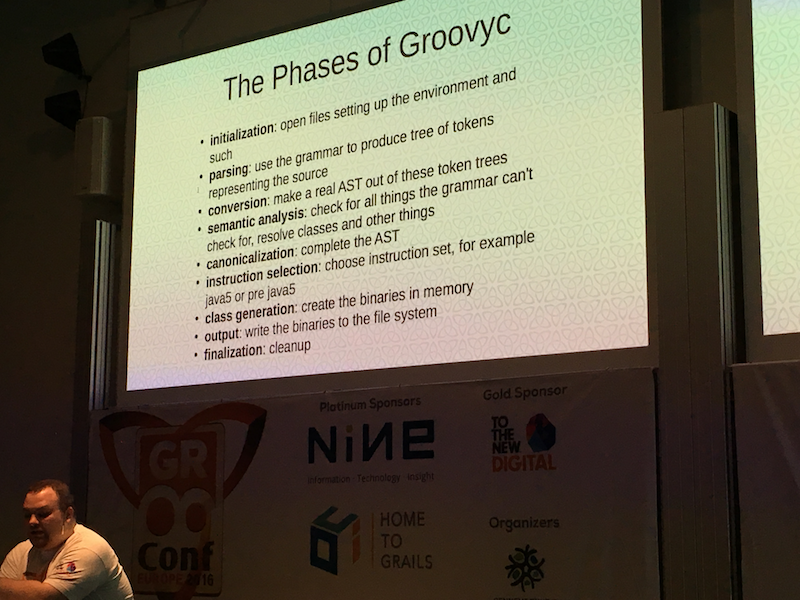 He talked about various misconceptions that people have around Groovy and his understanding of last year’s events starting from “The Pivotal divorce” to “How the move to OCI is a good step for Grails”. 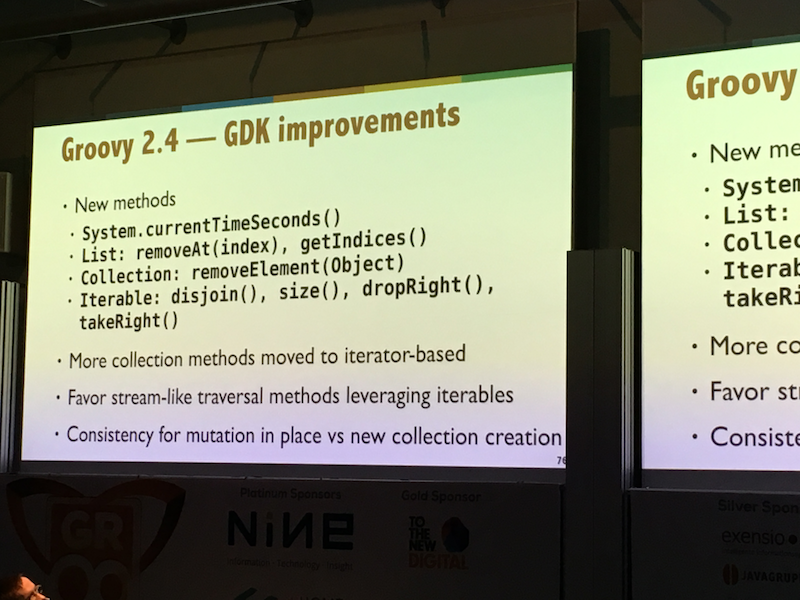 He also talked about Gradle’s announcement to support Kotlin and discussed its possible impact. 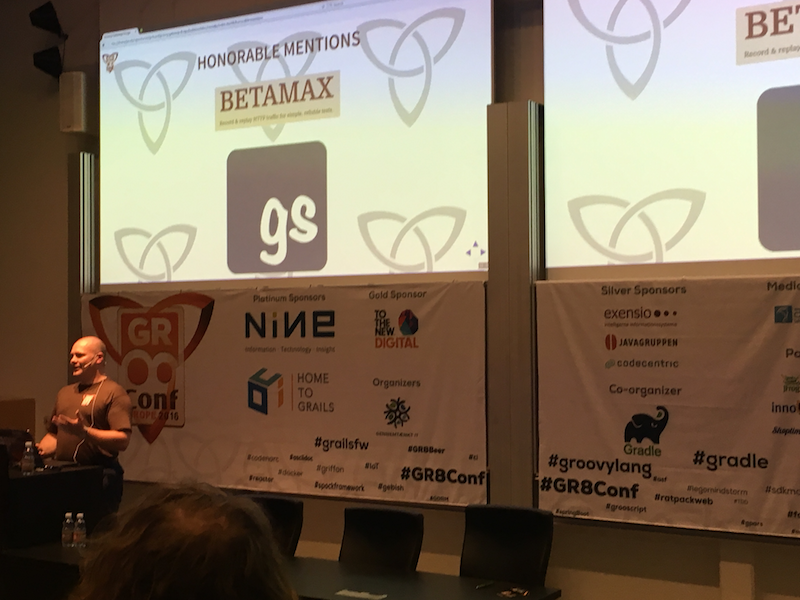 But the entire talk exhibited confidence in the language, the ecosystem and the community of GR8 technologies and helped put the changes along with their impact into perspective. 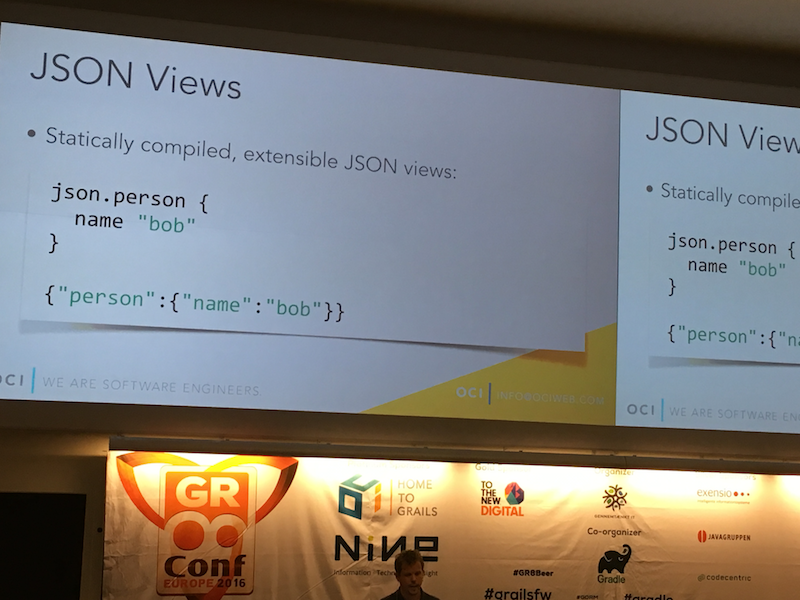 Overall, this talk demonstrated ways to assure hesitant Java developers that adding Groovy to their projects can simplify their lives. 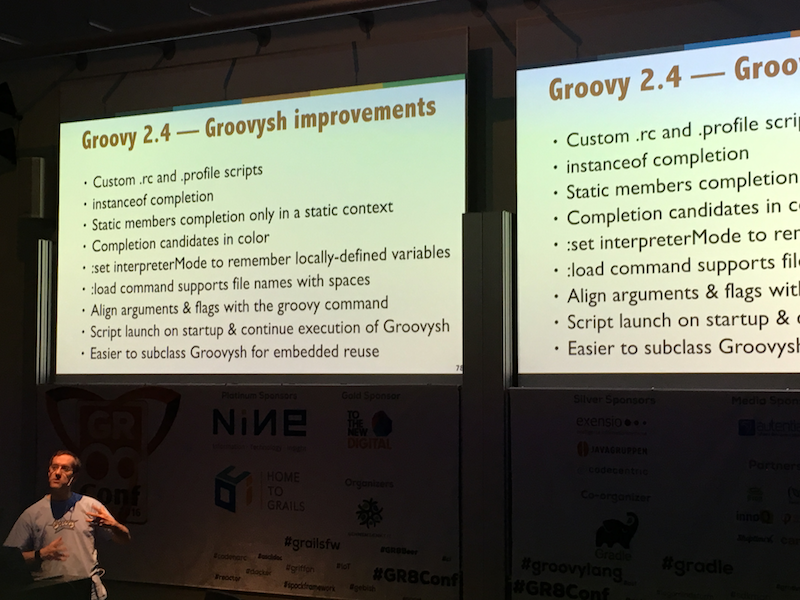 Next session was “A Groovy journey in Open Source land“ by Guillaume Laforge where he took us through the journey this language has gone through and also described some improvements made in Groovy 2.4. 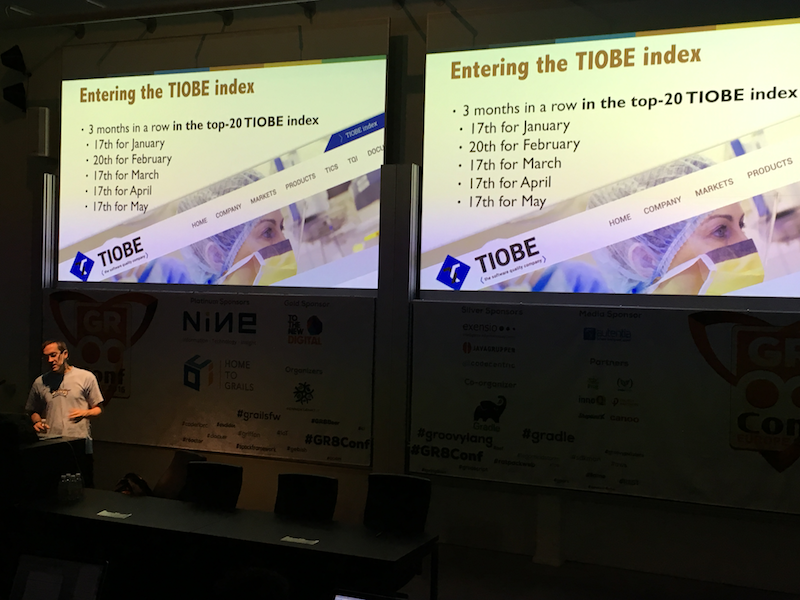 Guillaume also talked about Groovy’s entry into “Top 20 TIOBE-index” where it stayed for 3 months and he also had a shocker for everyone by announcing that he will be starting at Google soon. 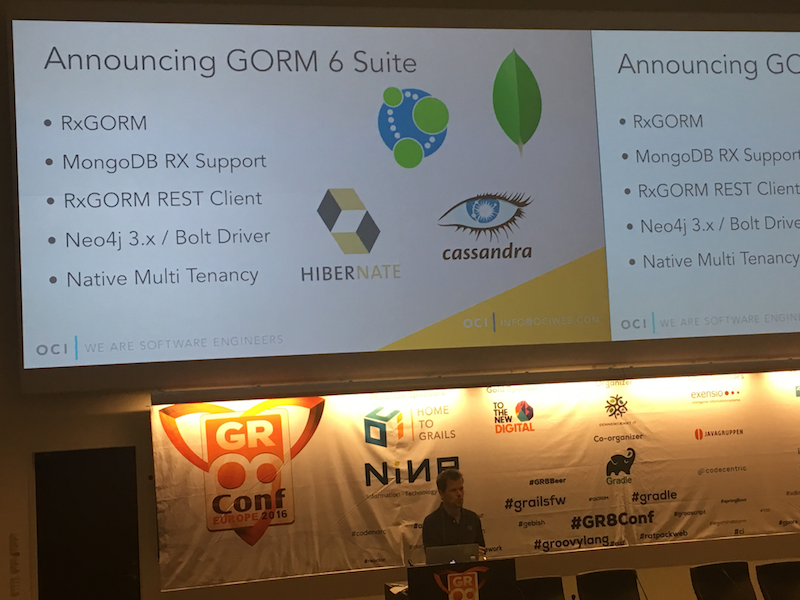 Congratulations for that Guillaume! 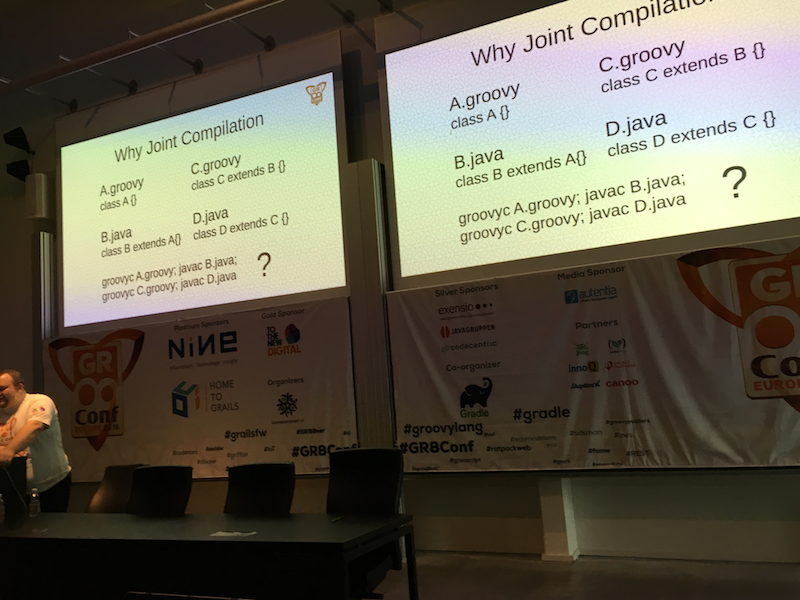 Another very interesting session was “Joint Compilation in Groovy -The bad, the good and the bright future“ by Jochen Theodorou. 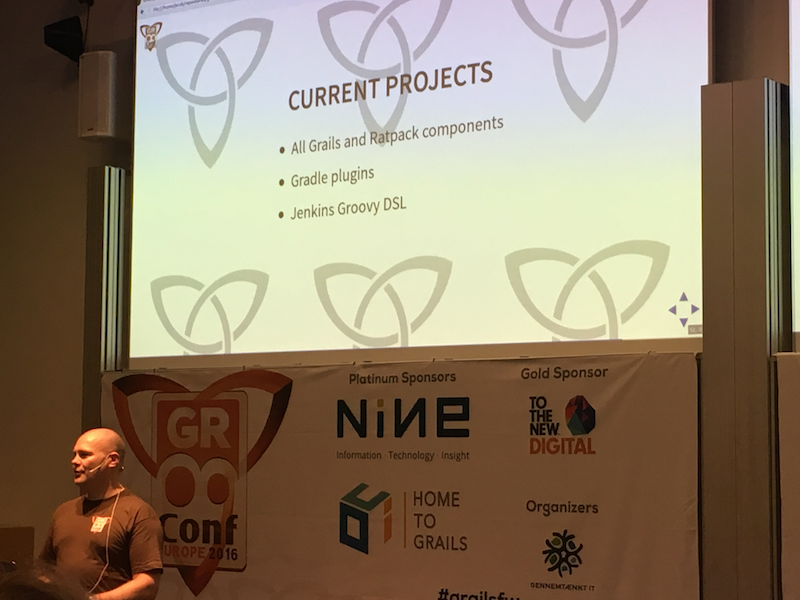 Jochen took us through what joint compilation is and why it is necessary, and also explained the GmavenPlus Plugin. 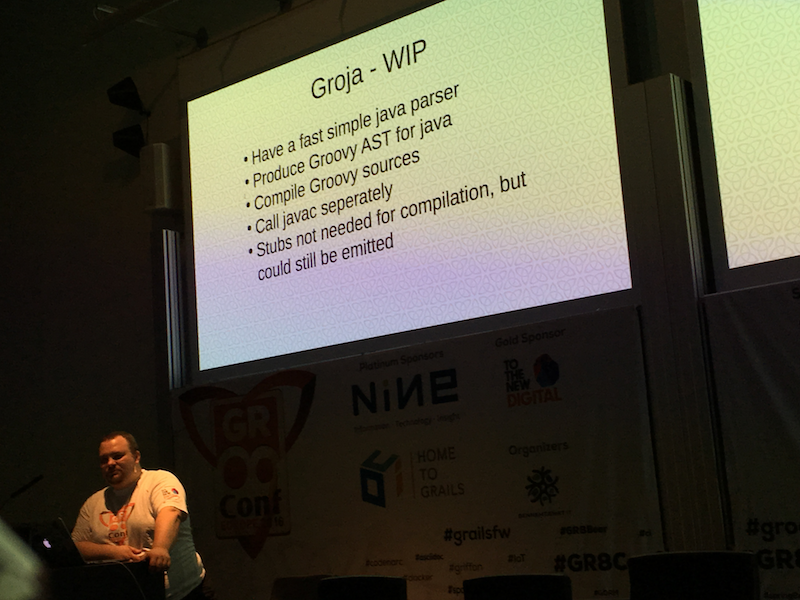 He also talked about phases of Groovy & Groja WIP, their goals, and current state. 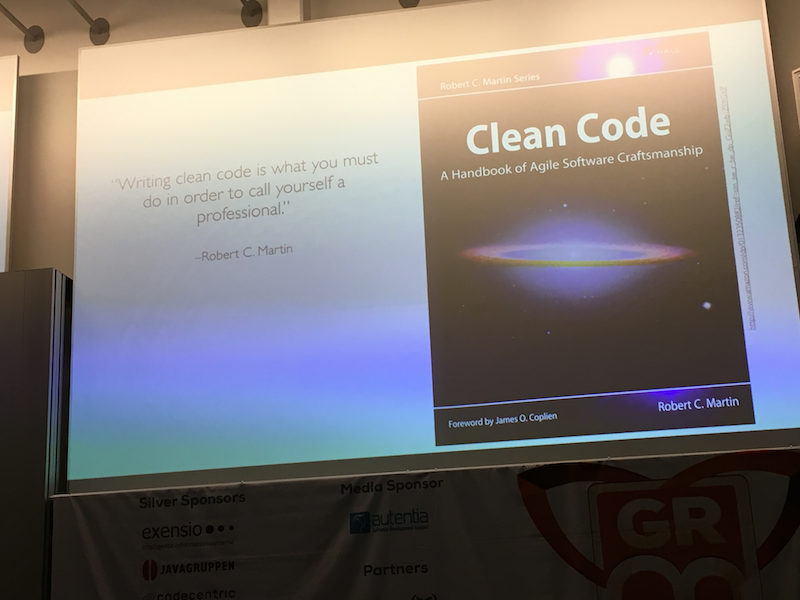 Then came the session on “Groovy Powered Clean Code“ by Noam Tenne which was another GR8 session where he recommended reading the book Clean Code by Robert C. Martin for all developers. 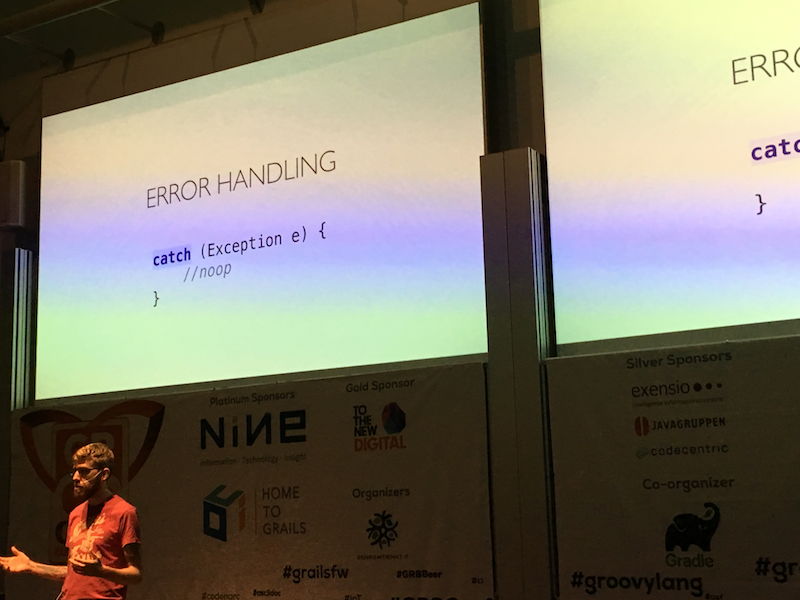 In his talk, he shared various examples on how we can use Groovy to clean and improve codebase while still maintaining its sanity and joy. 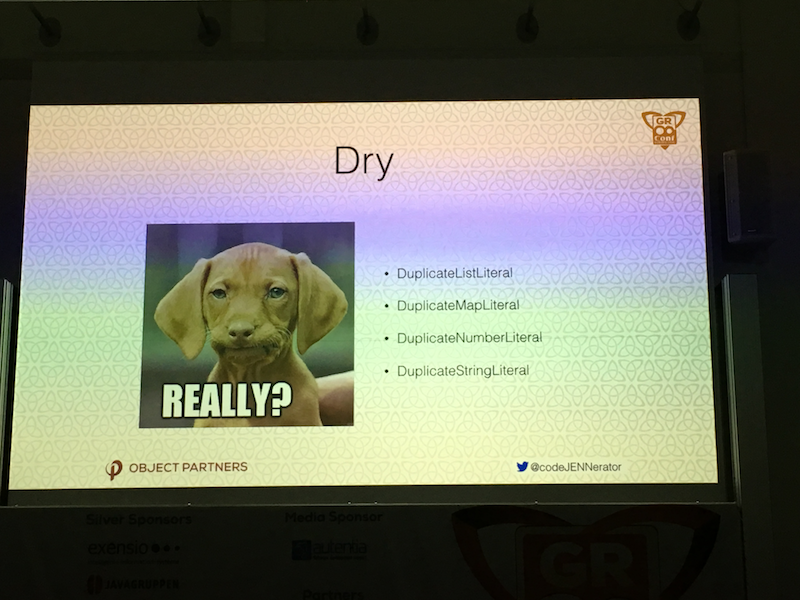 The slides of this talk are available at slideshare.net/gr8conf/groovy-powered-clean-code. 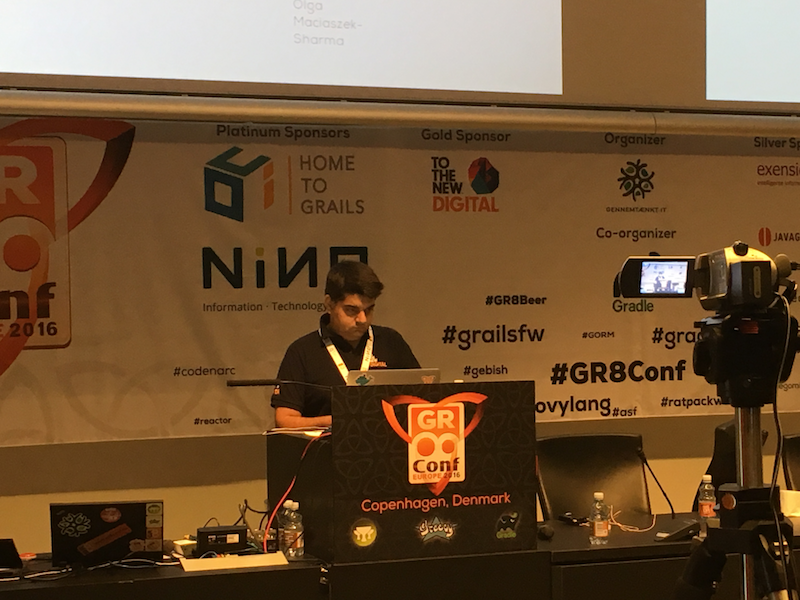 The next session was “The GR8 Road to #fame“ by my colleague Himanshu Seth where he shared his experience of using GR8 technologies like Groovy, Grails, Boot, etc. 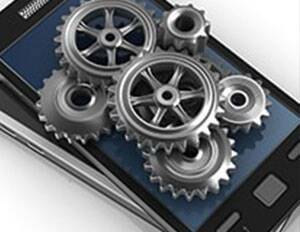 for building live streaming applications. 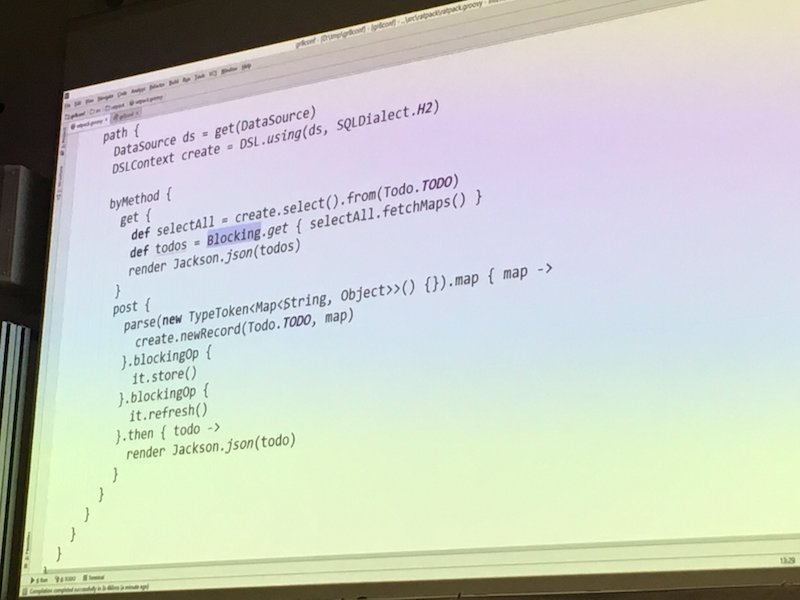 He talked about how these set of tools and technologies helped us in doing some quick PoCs, coming up with quick working models and growing them into the whole system. 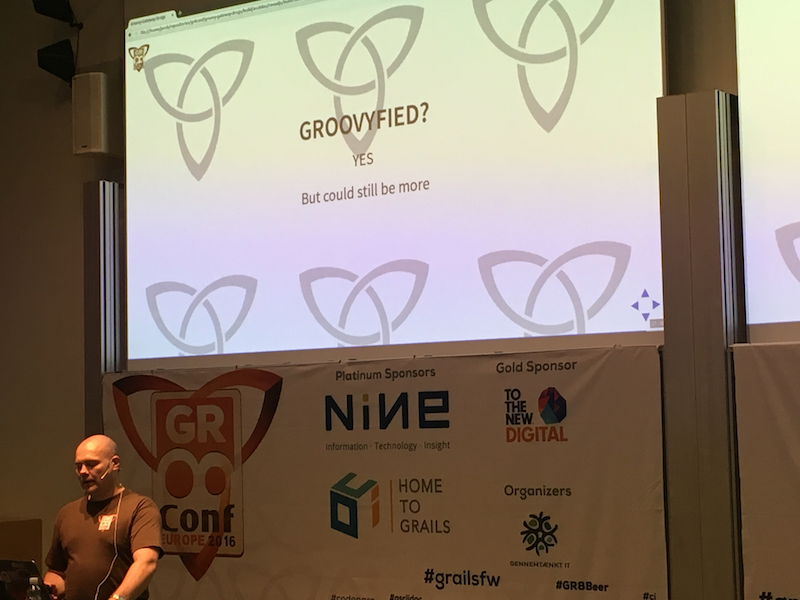 Next session was “Groovy Gateway Drugs“ by Jacob Aae Mikkelsen where he shared his experiences from ‘Groovyfying’ a new team from a well-established company. 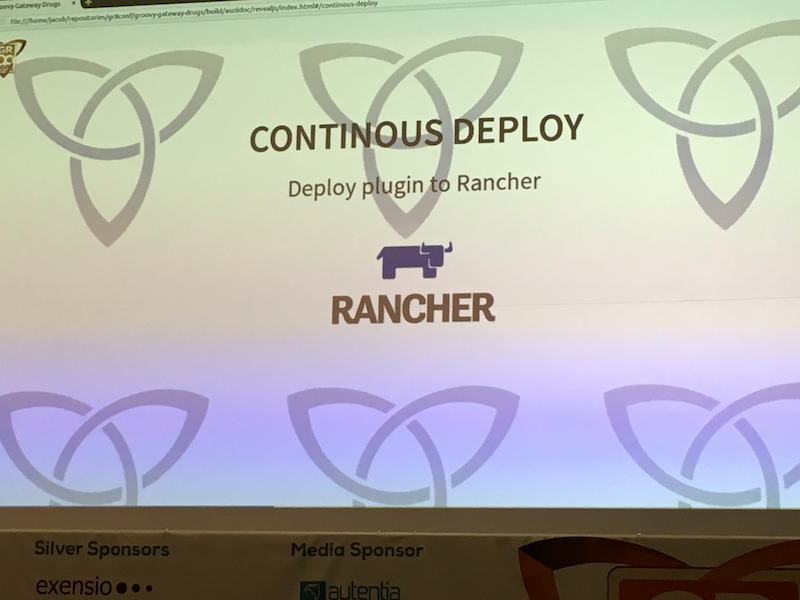 He talked about various projects around it covering various themes such as web frameworks, desktop application framework, concurrency, testing. 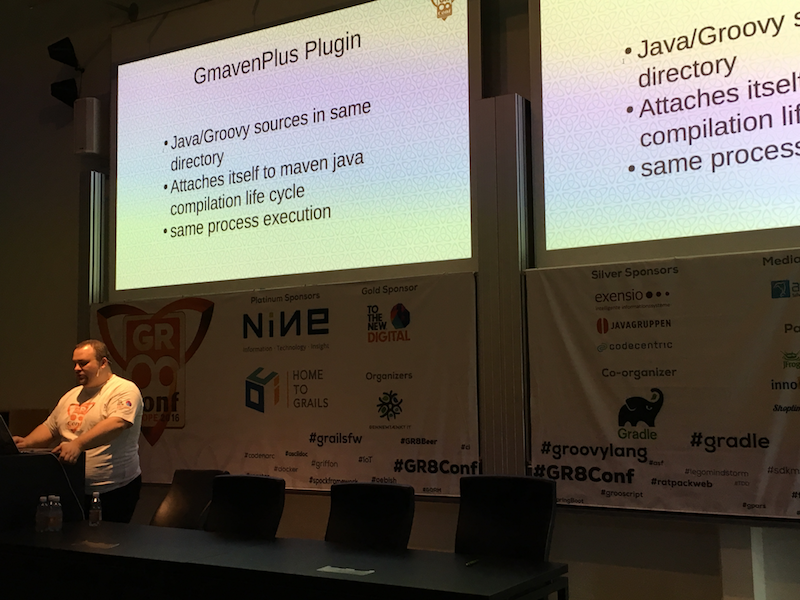 He also discussed their pros and cons, alternatives in Java and why one should go with Groovy. 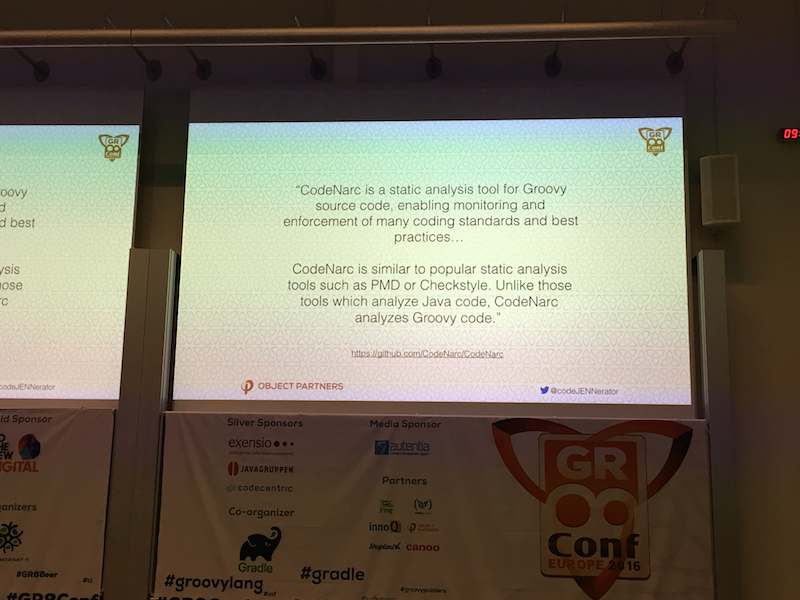 Towards the end, he also talked about how you convince your team to use Groovy. 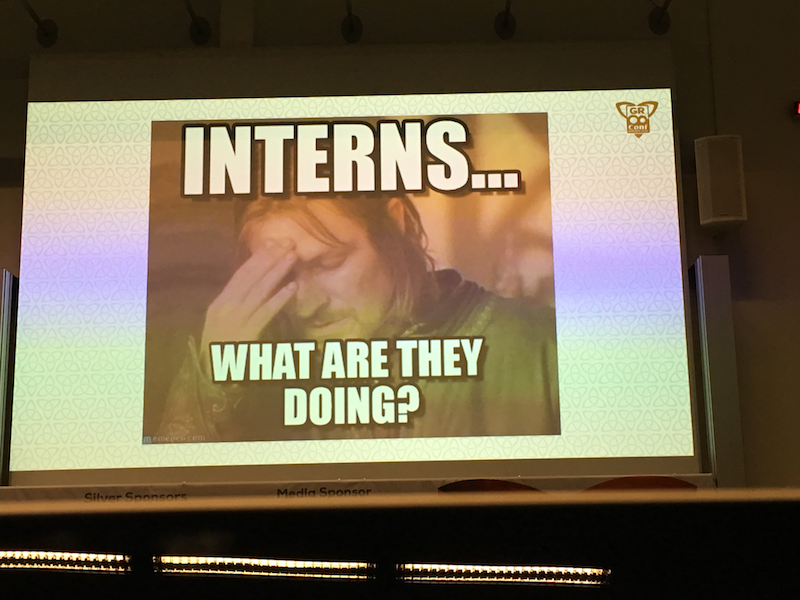 The slides of this talk are available at imada.sdu.dk/~jamik/gr8conf-2016/groovy-gateway-drugs. 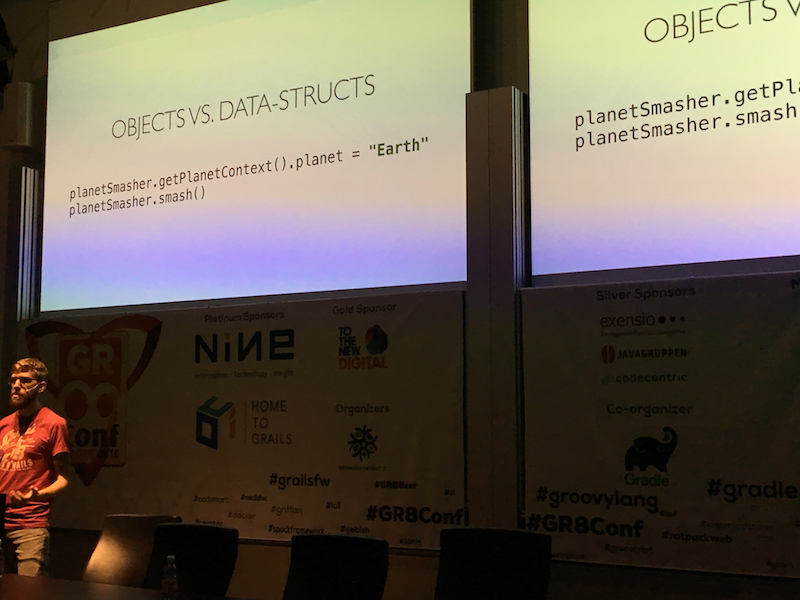 The last talk of the day one was on “Groovy Puzzlers S03 – The Unstoppable Puzzlers Hit Again!” by Baruch Sadogursky and Noami Tenne. 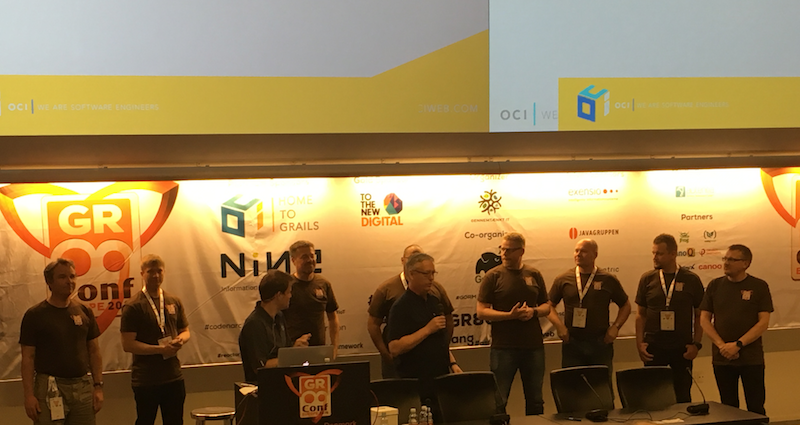 They were accompanied by great Groovy puzzlers and what better way to end the 1st day of the conference than the amazing puzzlers who made it even trickier than the last few editions. And, the 3rd & last day of conference where I got to see lot of excitement & enthusiasm from the participants. 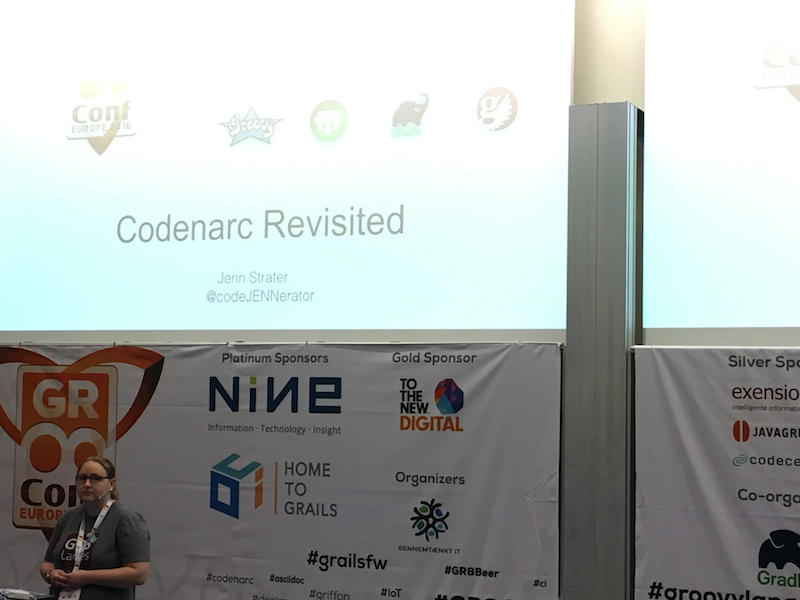 The first session of the day two was “Codenarc Revisited” by Jennifer Strater where she started explaining the need of codenarc and then talked about the various approaches to it, how to configure it. She talked about some of good & debatable rules. 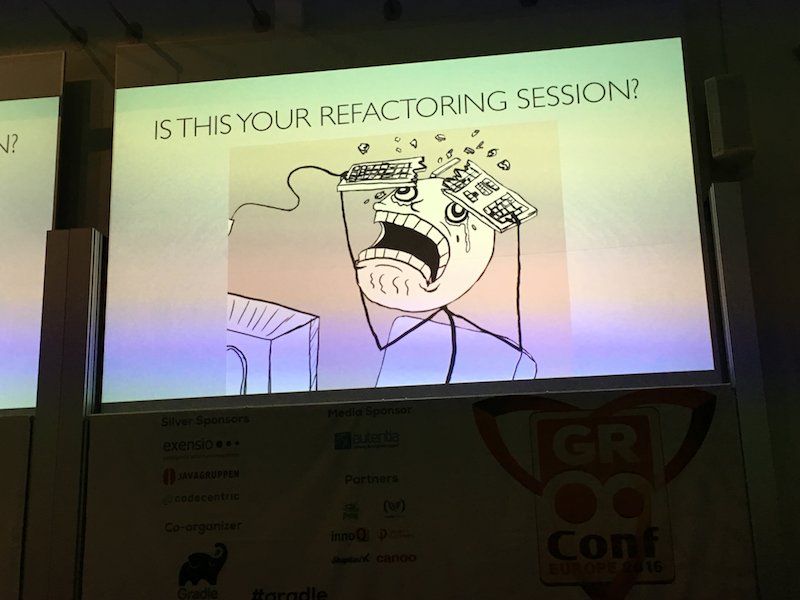 Slides for her talk are available at speakerdeck.com/jlstrater/codenarc-revisited-gr8conf-eu-2016. 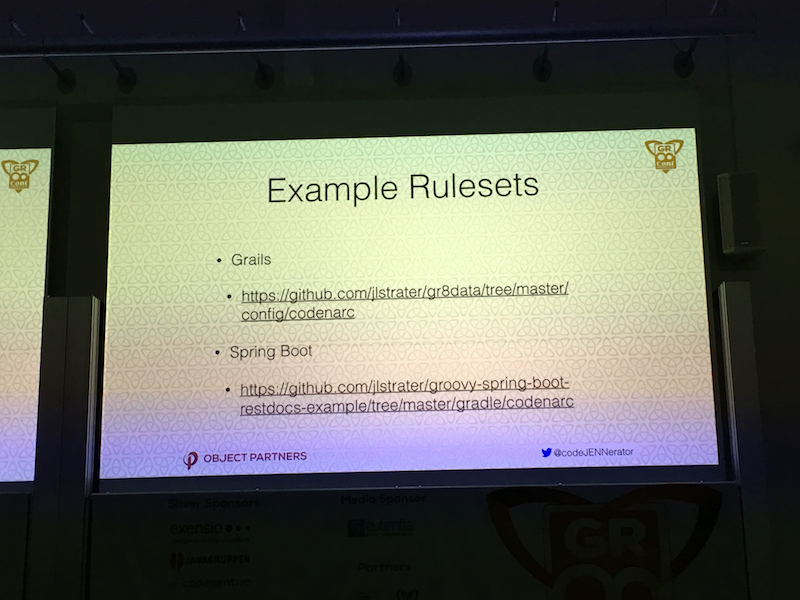 One can also contribute here by following some developer guidelines. 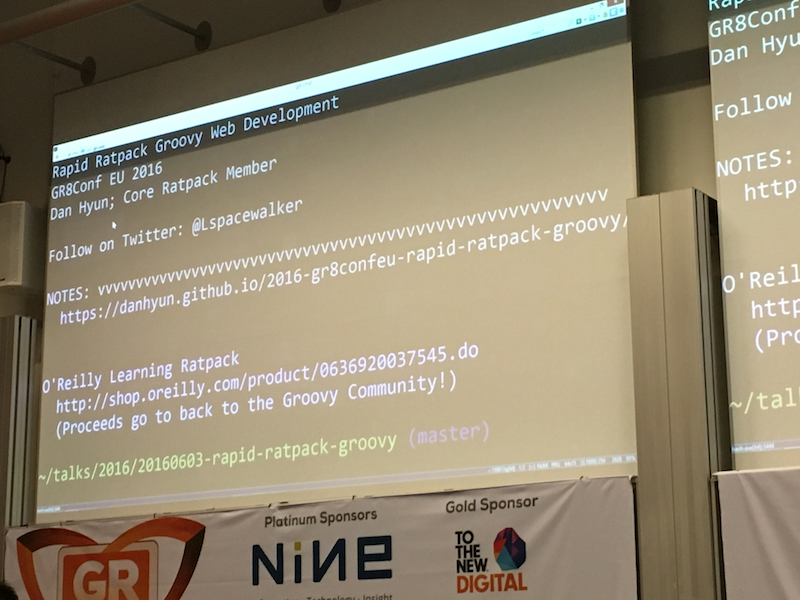 Next, there were 3 awesome sessions and it was very hard to decide where to go but I attended “Rapid Web Development with Ratpack” by Daniel Hyun. 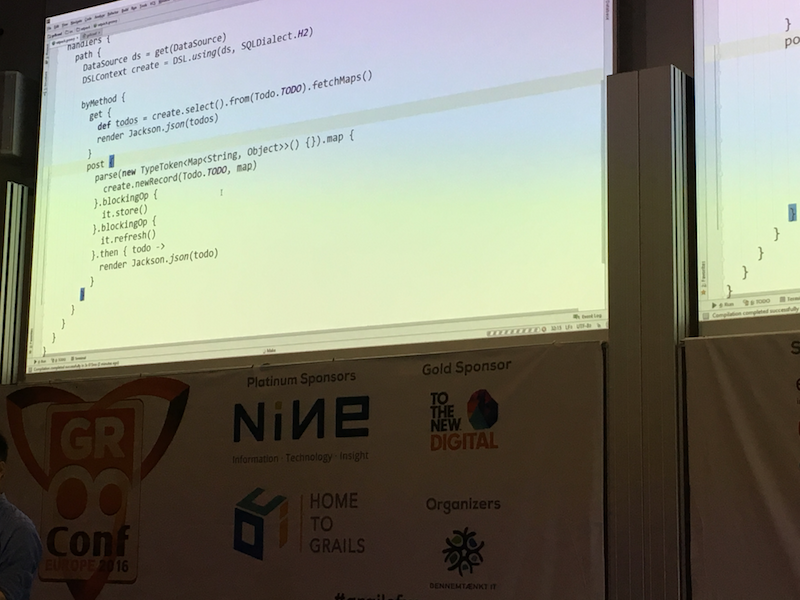 So, Ratpack is a set of developer friendly, reactive, asynchronous, non-blocking Java 8 libraries that facilitate rapid web application development. 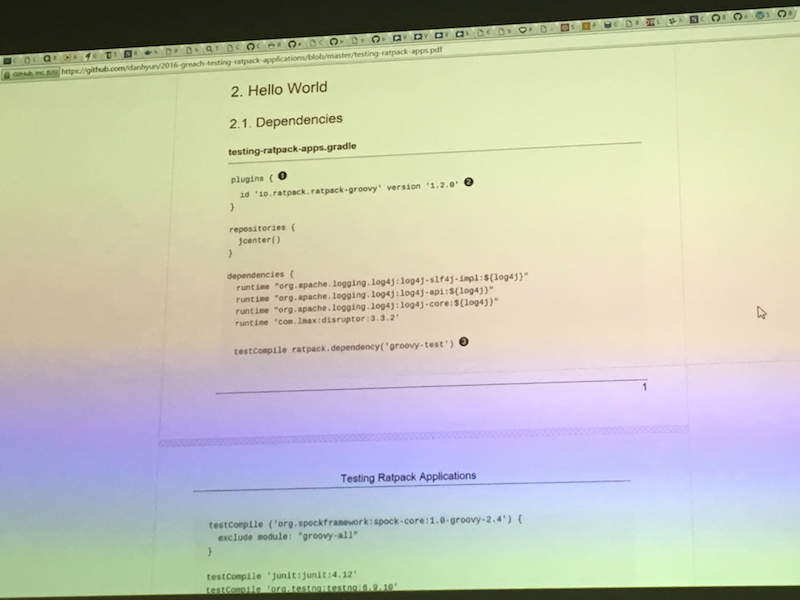 In this session, Daniel demonstrated that how we can get started from scratch with a simple Ratpack example to asynchronous programming, blocking get, testing, and integration with Gradle. 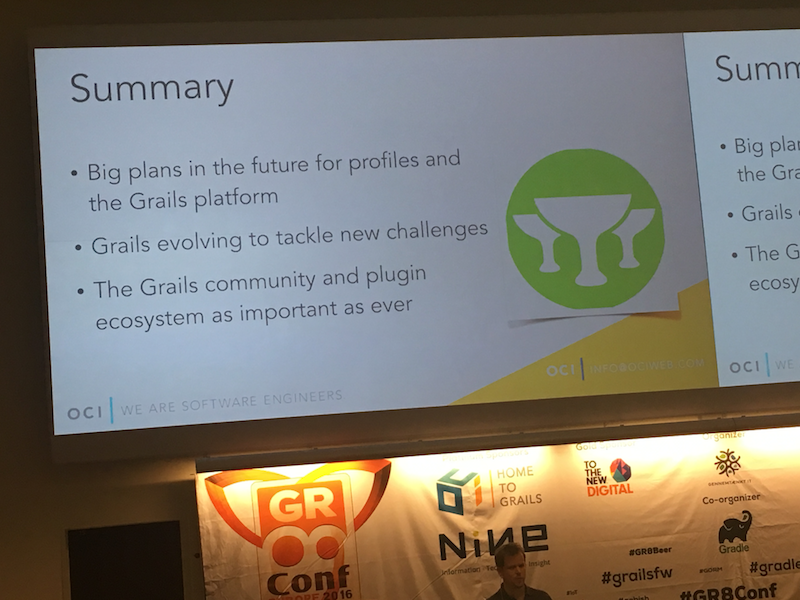 Now, one of the most awaited session of the day which is “Grails Keynote” by Graeme Rocher. 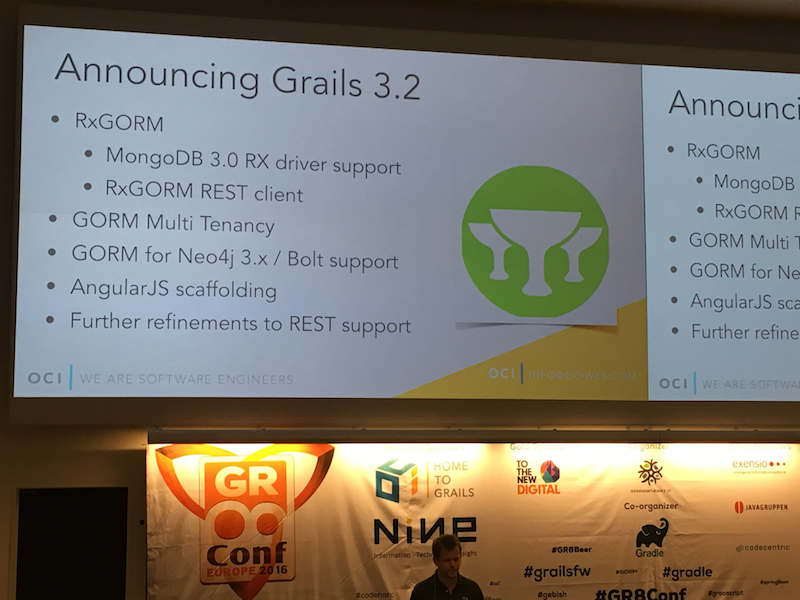 In this talk he announced the Grails 3.2 which comes up with lot of features such as – RxGORM (reactive implementation of Grails), Angular JS scaffolding, and improvements in Grails profiles. 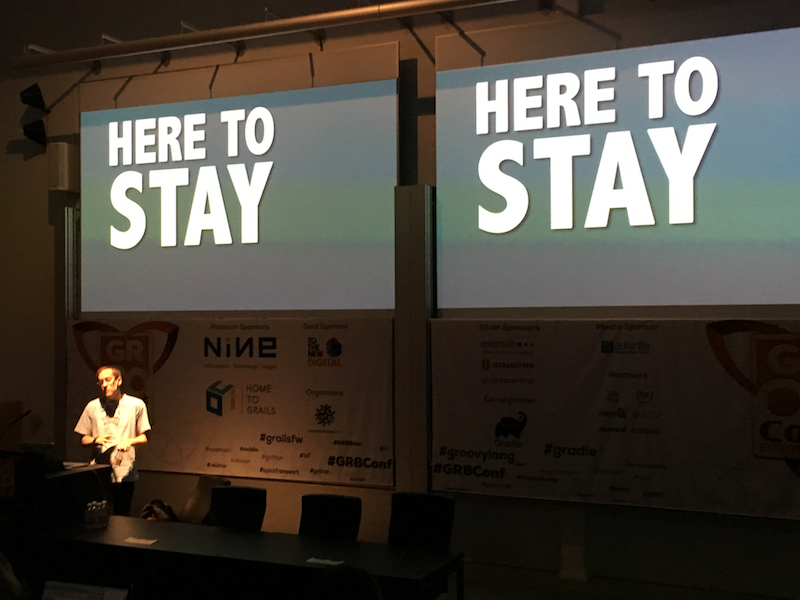 Now I would like to appreciate & give special thanks to the whole GR8Conf EU crew for organising such a wonderful conference. 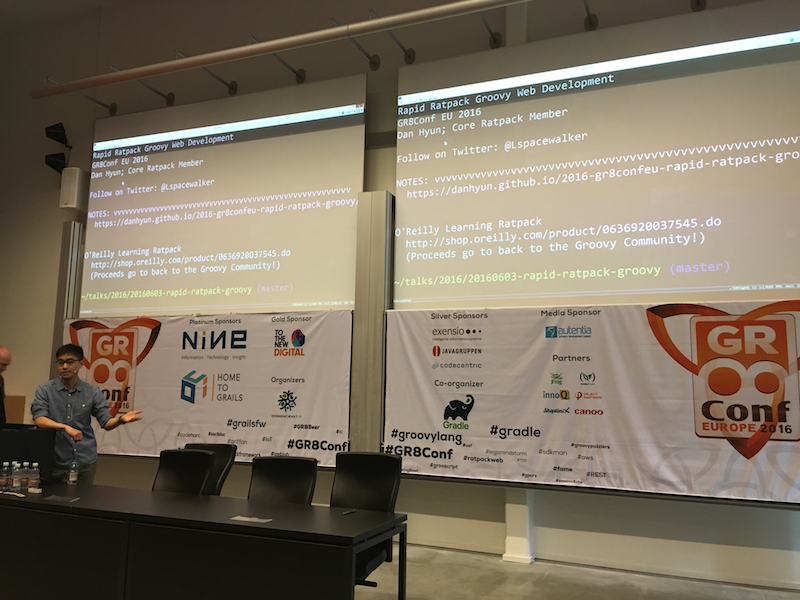 Hoping to see you all again next year at GR8Conf EU 2017, I would strongly recommend to attend the conference next year.